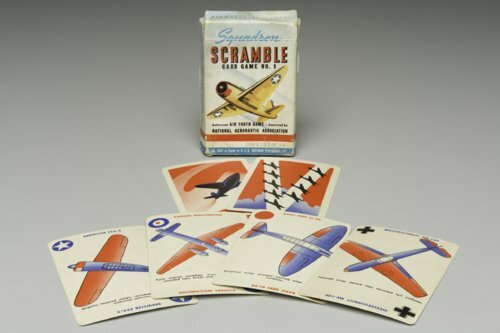 Rummy-style card game featuring American, British, German, and Japanese World War II military planes. It was produced by the Whitman Publishing Company in 1942. The donor, Carol Graham, recalled playing this game while growing up in Pratt, Kansas. It belonged to her mother, Florence Harkrader Hastings.